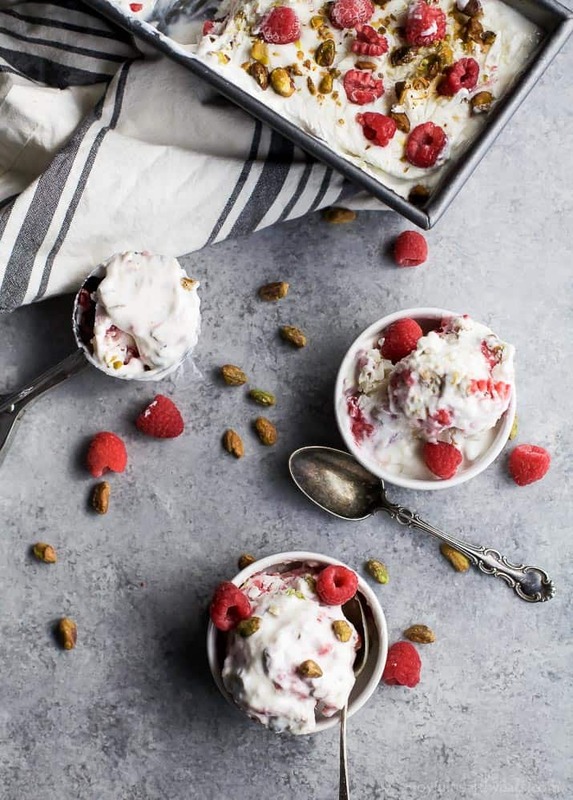 Healthy 5 Minute Pistachio Raspberry Frozen Yogurt – it’s healthy, sweet, delicious, and so easy to make. 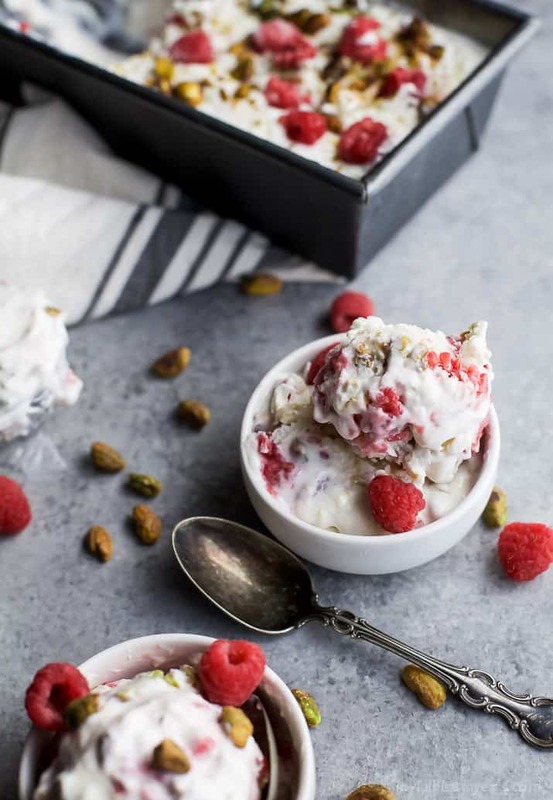 Healthy 5 Minute Pistachio Raspberry Frozen Yogurt – it’s healthy, sweet, delicious, and so easy to make. The perfect way to satisfy that sweet tooth! One of the first things I did when we walked into our new home was cry. Not like a sob cry.. but a relaxed we are finally “home” cry. The past 30 days has been such a whirlwind. And honestly the past year I feel like we have been under attack … basically since we moved out of the house we were in for 10 years. The rental, while good and provided shelter didn’t feel like home to me. It was someone else’s home, and while comfortable I didn’t feel like we could put down roots. Even hanging pictures in that house was hard because I knew we’d have to move in a year or two. Walking into this new home felt like I could settle. It was ours. It was new. That was the main thing I felt. Newness. A Clean Slate. Out with the old and in with the new. I just keep thinking that and speaking that out. Not only in a physically sense, where we actually moved into a new home, but spiritually too. Out with the old ….”trials”, hardships, and heart break. In with the new …. joy, abundance, and peace. I’m ready for a new chapter to begin. When something goes down it always comes back up. And right now all I can think of is the analogy of a buoy. When it gets knocked down or pressed on, it goes under water for a while but then pops back up. It just keeps bobbing up and down. Such is life! We’ve been in that under water stage for a while and moving into this new house feels like we are about to emerge from the water and sore for bit! Ya’ll… I feel like I can breathe again, like a huge weight has been lifted. Hurray for newness and wiping away of old things! Speaking of new things. How about we get to that new recipe, since ya know. I didn’t post anything this Monday. (ahem..we did move) I figured I needed to reward you for your patience with a sweet treat. 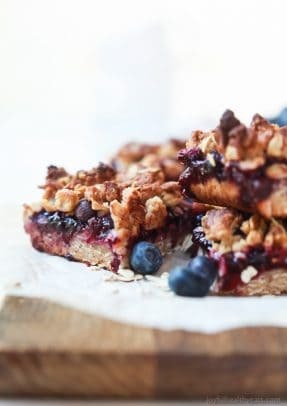 But of course, a healthy good for you sweet treat! I hope that’s ok. I figured you wouldn’t mind. When it comes to summer treats you can’t beat a good old ice cream or froyo treat. Since you guys loved my 5 Minute Lemon Raspberry Frozen Yogurt, I decided I’d stick to the raspberry froyo theme and add in something a little salty. 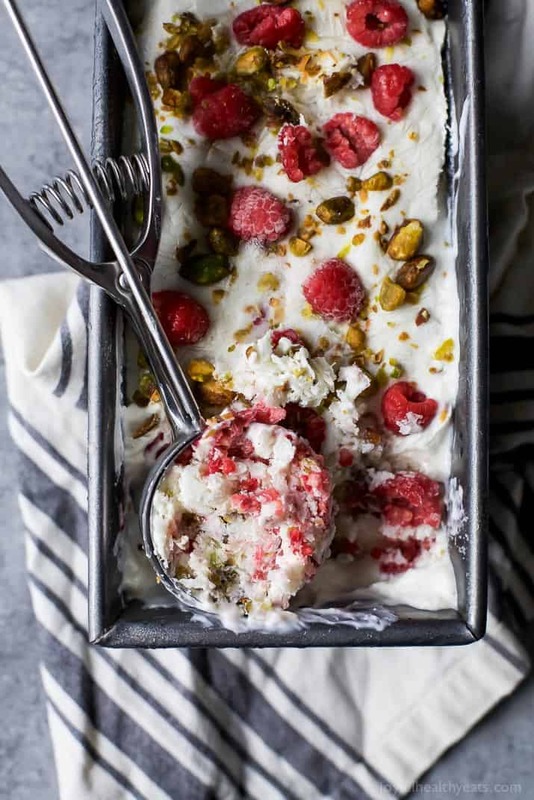 This Pistachio Raspberry Frozen Yogurt is another one of those 5 minute recipes … cuz let’s be honest you can’t beat that! 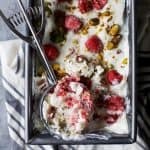 The yogurt part itself almost tastes like cheesecake and then I swirled in some fresh raspberries and salty pistachios. You’re gonna love it! 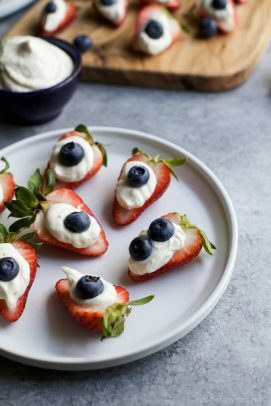 It’s perfect for those hot summer days and a guilt free treat you’re gonna devour! 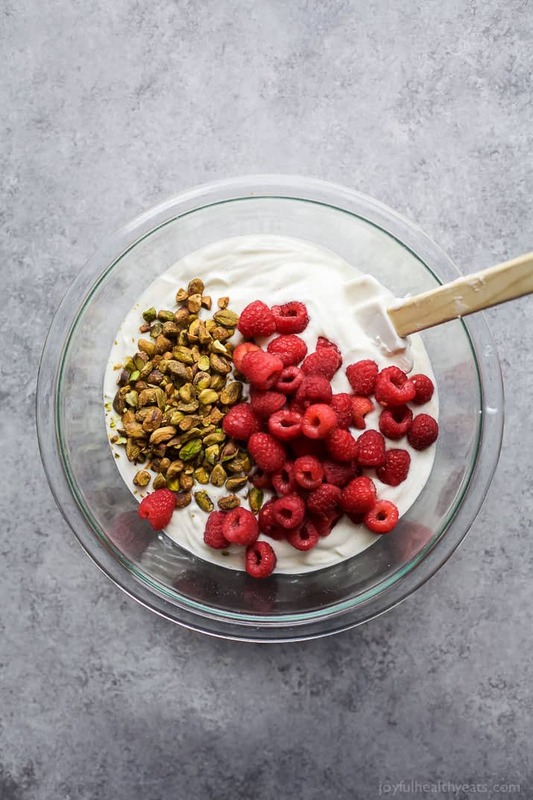 To a medium bowl add greek yogurt, honey, vanilla bean paste, and lemon zest. Using a whisk, stir to combine everything. Add in the raspberries and pistachios. Stir to mix everything together. 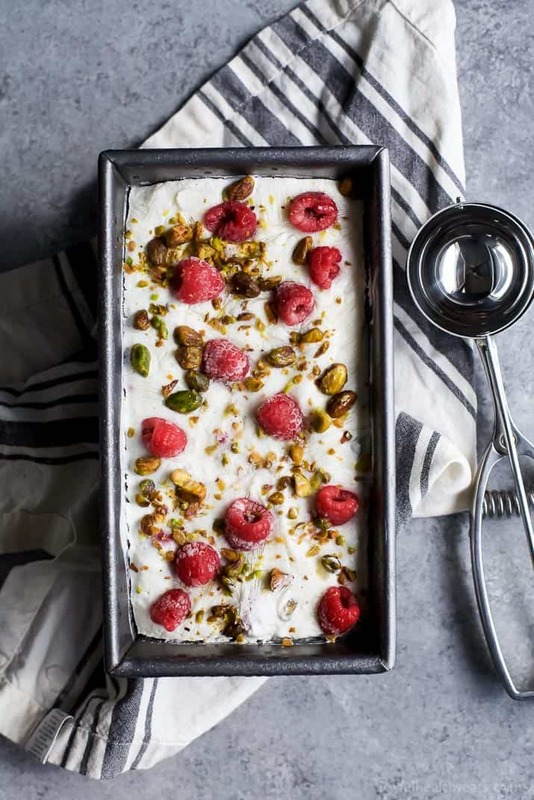 Pour the yogurt mixture into a 8×8 loaf pan. Cover with plastic wrap and place in freezer for 3-4 hours. Remove from freezer when ready to serve. 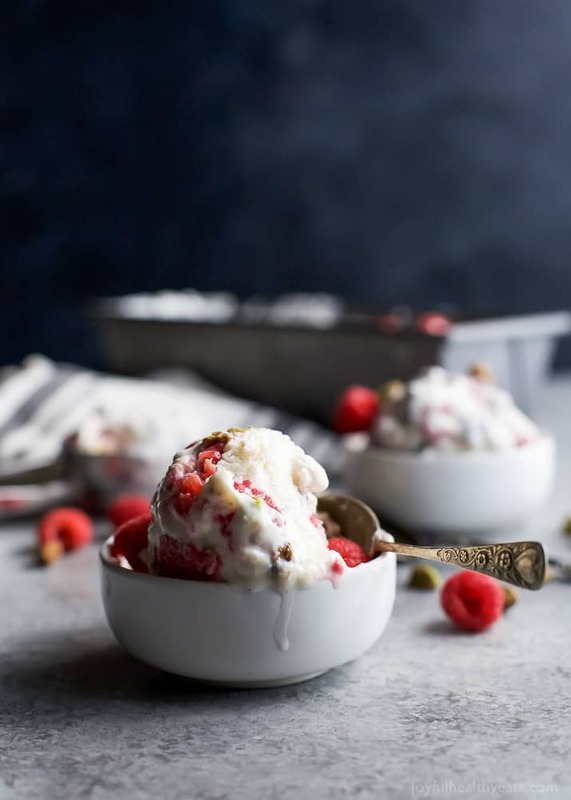 Scoop and devour! I love this recipe. I can’t eat traditional ice cream but your ingredients are all in line with my dietary protocol…I’m so excited. wooho! I hope you like it Michelle! Congratulations on your new home! How better to celebrate than with a lovely treat like this! I looooove the added pistachios! So nice. Thank you so much Patricia! The sweet salty combo rocks 🙂 but I also just LOVE pistachios! 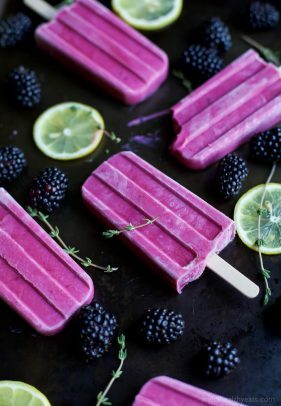 The perfect summer treat — I can’t wait to try it! I have got to try to make my own frozen yogurt. What a great combo! That looks absolutely perfect and I love the flavor combo! I’m currently head over heels for pistachios. This looks perfect. My kids love frozen yogurt! 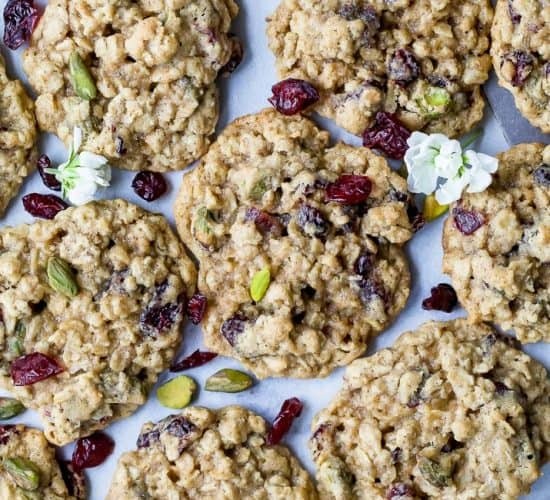 The berries and pistachio combo sounds divine! Since I loved your Turkey Gyros Recipe, I’ve been looking forward to trying another. I was wondering, once the yogurt is frozen, does it still have the same creamy texture like store bought frozen yogurt? I mean the possibilities are endless. I can’t wait. Ok, so when you first make the recipe I would say let it freeze for about 2 hours or so and then the best time to eat the frozen yogurt is right after that. If you let it sit longer it does harden up and turn more “icy” but if you let it sit out for about 10-15 minutes before serving that creamy texture comes back. Make sense?